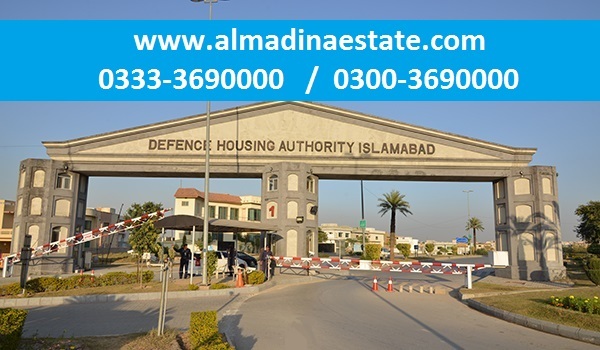 For some time in the past, people looking to buy an apartment in Islamabad had limited options. This also left them with no options except risky ones. Seeing the city’s soaring appetite for apartments, Islamabad gradually become the city of choice for developers having a flare for high-rise structures. Today, the city has these options available in abundance, but which one to pick is the question many ask. As the name says, these are developed for officers of army. And for the same reason, many buyers also find buying one a safe option. Located in DHA Phase II, Askari Towers comprise a total of 12 apartment buildings featuring three and four bedroom units. While their monthly rent is the almost the same as that of many other apartment projects in DHA, their market price is higher than the rest. It is a project of Al-Ghurair Giga. Defence Executive Tower is also located in DHA Phase II. The project was launched back in 2014 and some work on it is still to be completed. According to sources, work on the project is expected to be completed by mid-2019. Again, an Al-Ghurair Giga project. Due to its fine features and availability of a number of options, flats here are popular among tenants and thus among investors. The tower reaches 20 storeys and features studio, 1-, 2-, 3-, and 4-bedroom apartments. Buyers find the project appealing for its rates, especially that of 1- and 2-bedroom apartments. Compared to the optimum value of apartments in the neighbourhood, market price of these units in Lignum Tower is tempting. Another Al-Ghurair Giga development, El Cielo comprises two towers. The project was launched some years ago, where booking for its Tower 1 has been completed, and underway for Tower 2. The launching rates are also believed reasonable on a convenient payment plan. For more details on it, stay tuned to Our Blog. It is perhaps the most popular Al-Ghurair Giga apartment project in DHA Phase II. It is also the most popular one and that’s because it comprises as many as 20 blocks. Each block reaches eight stories featuring 1-, 2- and 3-bedroom apartments. In many ways, it is considered a popular project among investors. Not to mention, it’s an Al-Ghurair Giga Development that is being constructed in DHA Phase II. Comprising two towers, work on one of its towers has already been completed by 50%, while piling work on the second tower has just been started. It is expected that the project will be delivered by the end of 2019. Defence Tower features 1-, 2- and 3-bedroom apartments. The high demand for these units can be gauged from the fact that each of these units has a premium of PKR 500,000.